Welcome to DediPath DediPath is a provider of infrastructure as a service (IaaS). With a collective 50+ years in IT, managed services, and colocation experience, DediPath's founders are focused on creating a strong brand that is focused on providing the best service and support at a highly competitive price. All services are backed by 24/7 customer support, a 99.99% uptime guarantee and the ability to tailor a service to your exact needs! Meet Our Team Over 50+ collective years in IT, managed services and colocation. Mark has over 25 years’ experience in the telecommunications and colocation industry. 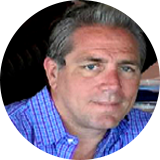 Mark has held such positions as VP of Sales and Director of Channels for several large companies. Mark has extensive experience with building companies and brand awareness. Mark attended Kean University and majored in business. Ernie has been part of the web hosting industry for over 15 years. His favorite part about the industry is meeting people from all over the world. He loves interacting with people as well as meeting and exceeding their expectations. Prior to DediPath Ernie owned his own company growing it to over 3,000 active customers. As DediPath's CTO Ernie is responsible for the overall strategies that drive DediPath's innovation. Dylan comes to DediPath with over 10 years of web and server hosting experience. Dylan brings a background in network engineering and systems administration. 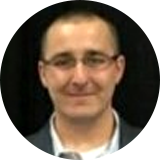 Dylan oversees DediPath's network and internal systems along with overseeing daily operations. Prior to DediPath Dylan has served as a systems administrator and network engineer at several organizations across many technology spaces. DediPath is looking for new talent to join our friendly working environment! We are looking for system administrators, network administrators, and developers.